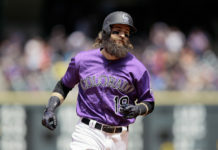 The Colorado Rockies are back from a long road trip and are set to take on the Arizona Diamondbacks in a three-game series. In recent years, the Rockies’ hopes of competing for a division crown have been fairly dim at this point of the season, but this year feels different. 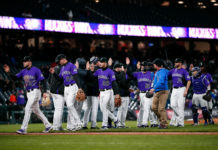 The Rockies are currently 15-16 on the year, one game behind the the Los Angeles Dodgers for the division lead, and that’s reason for excitement. 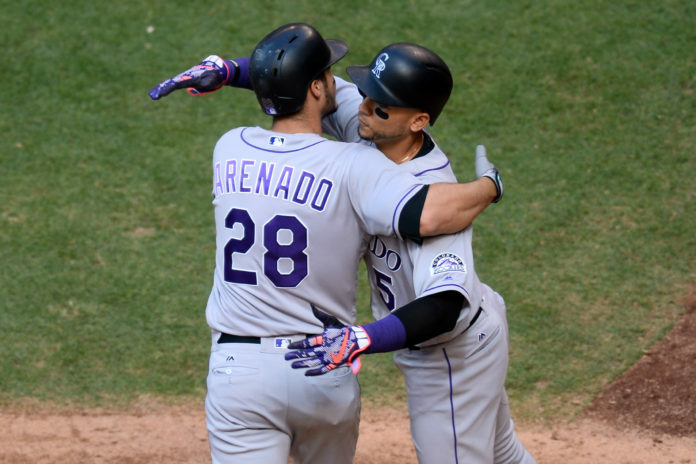 The Rox are fresh off a solid road trip in which they went 6-4, and they will be back in front of their hometown fans with a legitimate opportunity to make as statement in the division this week. The Rockies offense thrives at Coors field, averaging just under six runs per game in their own ballpark. The squad also has a combined batting average of .293 at Coors, showing they can and will hit at home. Even better, the Diamondbacks rank 27th out of the 30 teams in pitching, which is great news for the Rockies, who have already put up 40 runs against the Diamondbacks in six games. The Rockies will send three of their best starters to the mound against the Diamondbacks. The protected starters for the series are Tyler Chatwood, Chris Rusin and Chad Bettis. All three of those guys have been solid throughout the year, with ERAs under five. When you combine solid pitching with outstanding hitting, you are bound to win games. 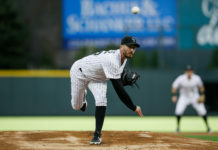 Chatwood, Rusin and Bettis have all held their own this season, providing solid performances in each of their appearances. Likewise, Arizona’s offense is not as strong on the road as it is at home. The Diamondbacks are hitting just barley above .250 on the road, and that will prove to be an advantage for the Rockies. Ahead of the Rockies in the NL West division are the Los Angeles Dodgers and the San Francisco Giants, both of whom are facing tough matchups in their upcoming series. The Dodgers will take on the first place New York Mets and the Giants will take on the offensive powerhouse that is the Toronto Blue Jays. The Mets have found their stride and are playing superb baseball, owning a record of 19-11 on the season. They will prove to be an extremely tough task for the division-leading Dodgers. The Mets have an elite pitching staff mixed with an impressive lineup, which could prove to be the difference against L.A. The Blue Jays will be going up against the Giants’ 22nd-ranked pitching staff in the game, which should allow the Blue Jays’ 13th-ranked offense to get off to a good start. If either the Giants or Dodgers have a rocky series, Colorado could catapult to the top of the division, a mark they aren’t too familiar with.